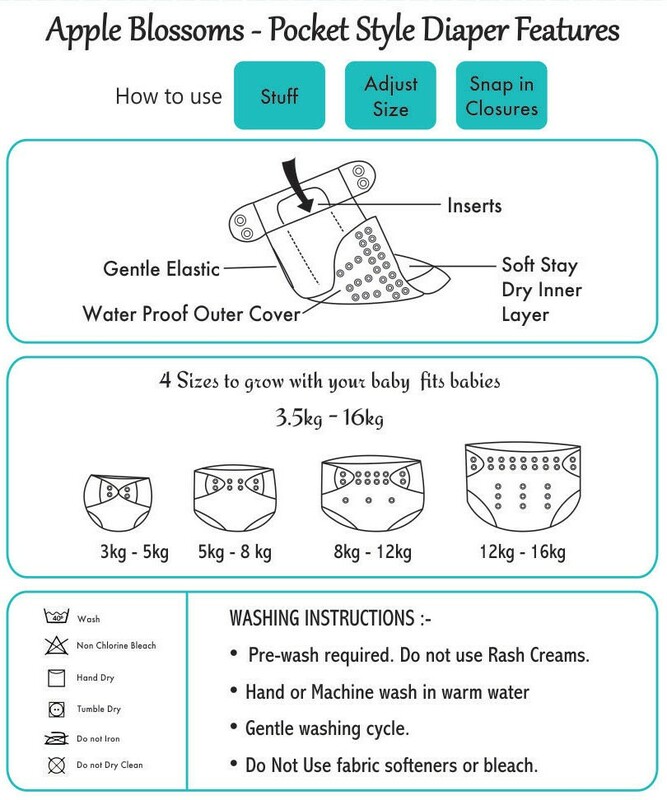 New to Cloth Diapering ? ? There are million decisions to make when you’re expecting a little one, and how to diaper them is no exception. Well, the good news is that Cloth Diapering is very easy to do than you think. Because we Apple Blossoms guide you through! Our brand have two varied sizes: NewBorn and OneSize Diapers. 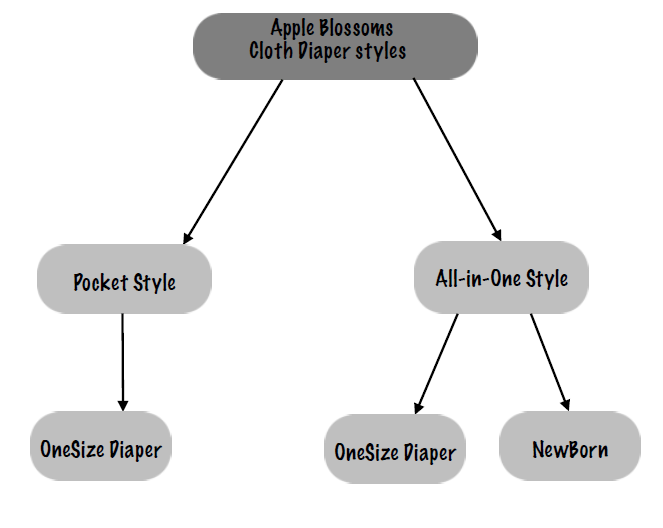 Choose diapers from our Exclusive Styles! To Achieve optimal softness and absorbency all our cloth diapers should be prewashed once before use. Most detergents on the markets will leave a residue on your diapers that will affect absorbency and cause odors on your diaper and rashes on your baby’s skin. Use baby friendly mild detergents. 2. 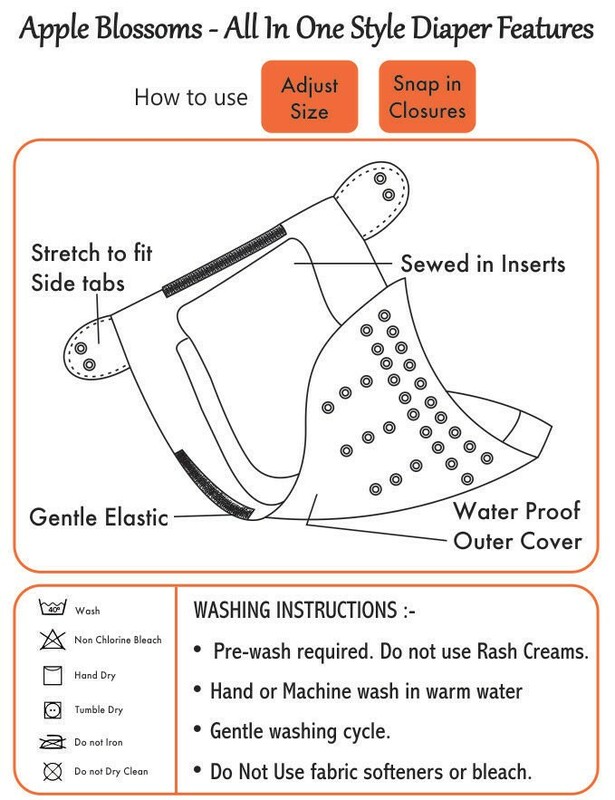 Either hand wash or machine wash.
4. Never use Bleach, Fabric softeners as it affects absorbency of the inserts. Hang your cloth diapers to dry on dry on dryer on low. If you have access to sunlight, utilise as it could be the natural sterilizer and getting rid of stains. **Routine drying your diapers on dryer may shorten life of your diaper.